Nokia Body Cardio goes above and beyond to help anyone keep tabs on their health and empower them to take action to improve it. 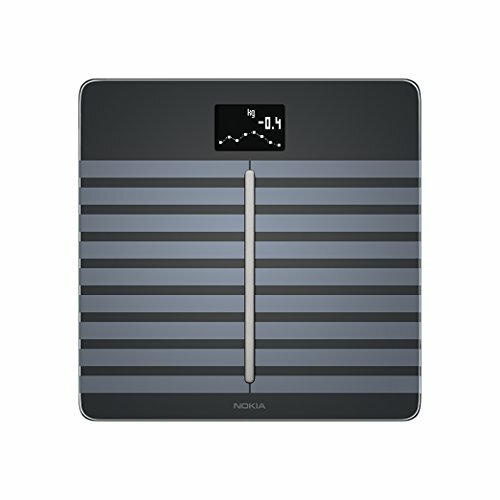 This connected scale tracks key health metrics: weight, body composition (body fat, water %, muscle & bone mass), BMI and standing heart rate. Seamless automatic sync means you can view trends, set goals, and find extra motivation at any time inside the Nokia Health Mate app, which works with Apple Health, and many other leading health and fitness apps for iOS. Please note that the Nokia Body Cardio Scale will no longer support the Pulse Wave Velocity feature, starting January 24, 2018.